Turkish food makes my heart & appetite sing. 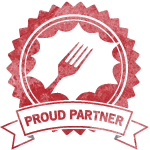 The hearty flavors, taste & warmth of the food, besides being healthy gather into a tickling wanting sensation. 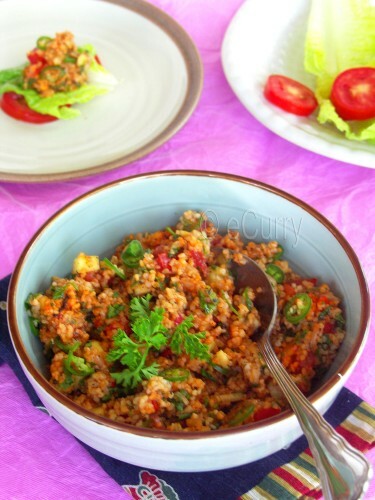 Kisir is no exception; a traditional Turkish side/salad, (call it another form of Tabbouleh, only more spicy), it is a dish made from bulgur flavored with red pepper paste, parsley, and tomato paste. 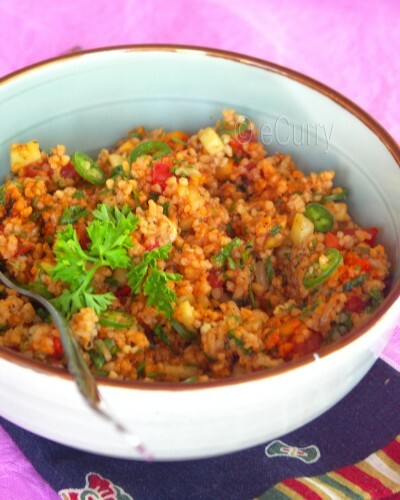 Unlike the Tabbouleh, Kisir has a reddish color due to tomato & pepper paste. It can be eaten cold and used as a salad or is usually served as a meze/appetizer. Traditionally Taboulleh is made with Bulgur. If you do not have Bulgur, Cracked wheat may be used, however cracked wheat takes longer to cook, & the it does not taste exactly the same as Bulgur. 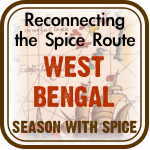 There is often a confusion with the Bulgur & Cracked Wheat or what is commonly called Dalia in Indian terms. Both are wheat products & the difference lies in the way the wheat is processed. 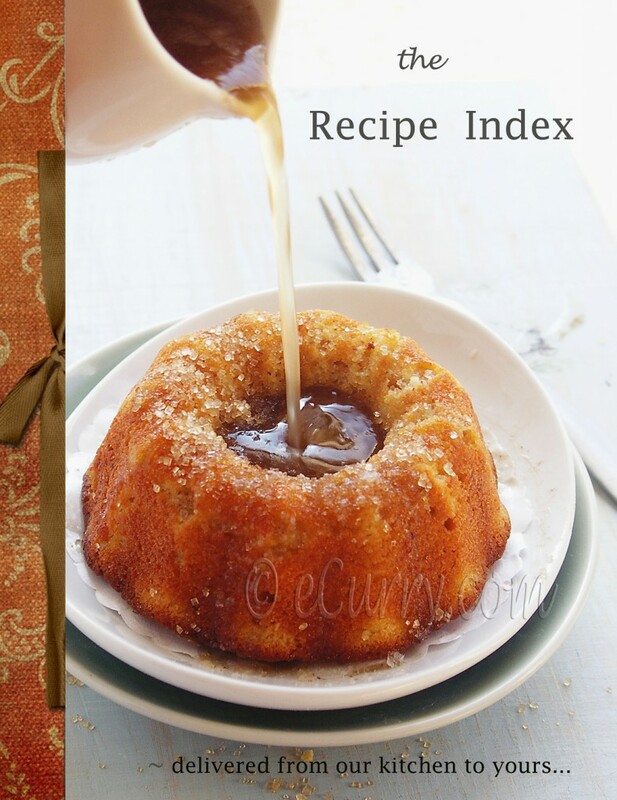 This recipe is adapted from Almost Turkish Recipes. Soak bulgur in cold water until soft; for about 1/2 hour. Squeeze out excess water from bulgur using hands or paper towel. Or Cook according to the package direction. 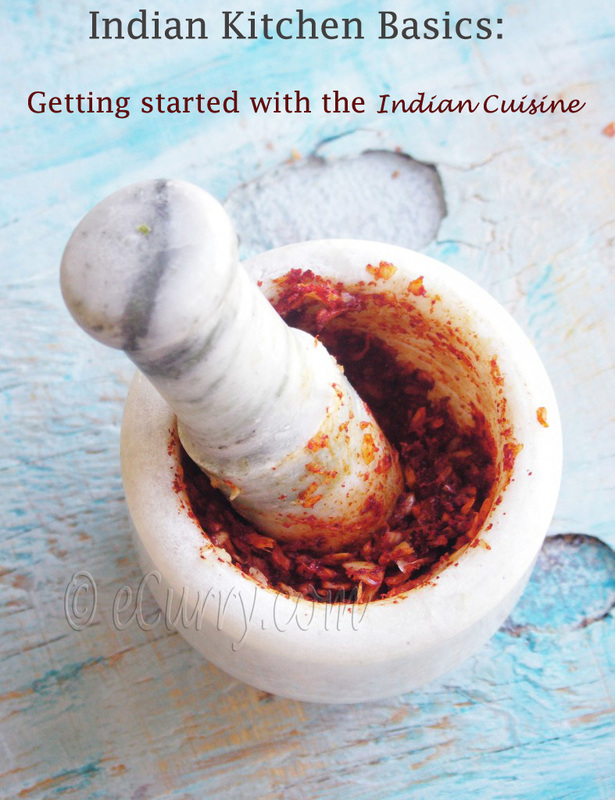 Put tomato and pepper paste in a big bowl and mix them together. Add the cooked cracked wheat/bulgur and salt into this mix. Stir once. Cover with and let it soak the water for 10-15 minutes. Cut the onion into very thin half-moon shapes. In a little bowl, knead/crush onion with 1 teaspoon salt . Rinse salt and squeeze excessive water. Fluff cracked wheat/bulgur with a fork. Add ground pepper, cumin, mint flakes, oil, pomegranate syrup, lemon juice, and kneaded onion. Mix well. At this point taste to see if it needs more lemon juice. Kisir should taste slightly sour. Add sliced fresh peppers, spring onions, tomatoes, cucumber, and parsley. Mix everything together well. Kisir is served and eaten with lettuce leaves and tomatoes. You can make the salad up to 2 hours ahead and keep it at room temperature. You can wrap some Kisir in a lettuce leaf and eat with slices of tomato on the side. If you decide to make the Kisir for a crowd, serve Lettuce & Tomato Slices on the side, & the guests can make their own little wraps (Like the one above). If you have never had Kisir before, you got to give this a try. The fresh taste of the herbs & cucumber combined with the heat of the pepper, the warmth of the olive oil & pomegranate syrup… the summery taste of tomato will definitely get you craving for more. Sending the Kisir to No Croutons Required, hosted by Lisa of Lisa’s Vegetarian Kitchen. The Theme this month is Grains. July 18th, 2009 | Category: Grains, Salad, Salads & Soups, Sides & etc. Hey!! Thats amazing info on bulgur. I have been using Cracked wheat scene long in my meals but never knew about the easy digesting properties of bulgur. I am surely going to make this now. Thanks for sharing. Turkish food is always so colourful and full of wonderful flavours. yum yum! the wraps are a great idea. As always,a new one from you..looks pleasing..clicks are gorgeous too !! Lovely.I too love Turkish Food and am always looking for recipes.The tabbouleh is delicious. I am one among those, who has never tried Kisir before. We love Tabbouleh at home and liked the idea of serving it on a lettuce and side of toamto. Soma your pictures are amazing as usual. Beautiful! I’ve never tried the Turkish version, but it sounds delicious. I havent experimented with turkish food yet, would love to do so now! love the vibrant colors! I love this wrapped in lettuce, a great lunch snack. wow….mouthwatering…i like the way u have presented it! I too love Turkish dishes! Thanks so much for this lovely entry Soma! I went to Turkey last month and kisir is the only way I’ll ever want to consume bulgur again. SO GOOD. I do make dalia a lot … thanks for the info on the difference. Ami usually sheddho kore rekhe di … pore use kori … etao sheibhabe banate parbo surely. 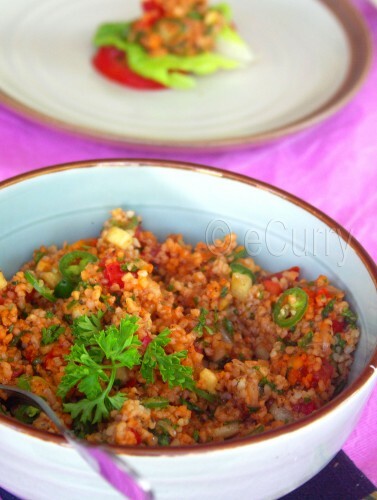 Completely awesome recipe,Looks so colourful,wud like to try out with cracked wheat! fantastic !!! feeling hungry right now ! Wow, looks so fantastic and sounds just delicious. I’ll try it sometime this week. Cheers for sharing. I also had to research the difference between dalia and bulgur recently when I posted my dalia upma. I like the dalia texture better than bulgur. Pictures look great! thanks for telling the diff between cracked and bulgar. 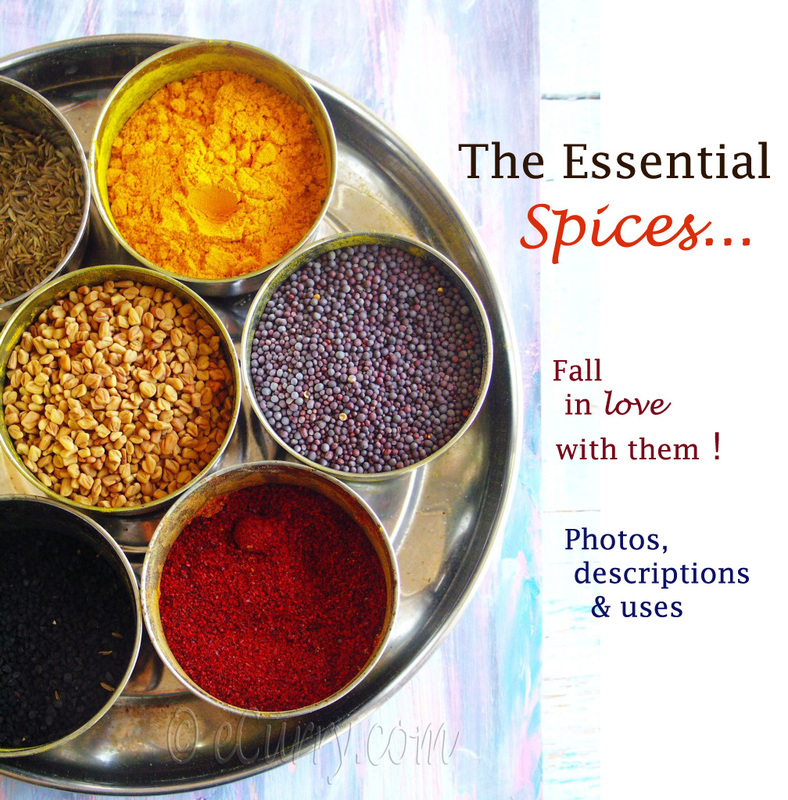 I often make dalia – but i always wondered what was the difference …. 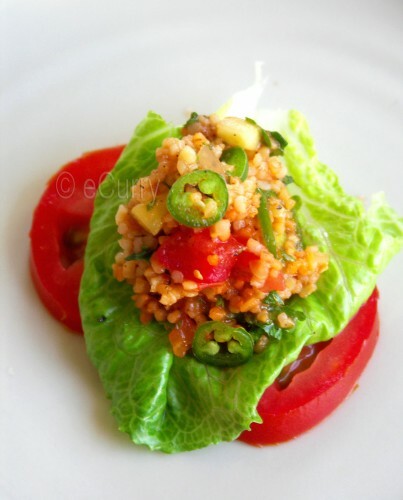 Next time – i shall follow ur receipe to soak the bulgar wheat and later also add cucumber …. sounds interesting, although it does look pretty good. Soma, you’ve done such a great job with the kisir! It looks great!